Football is one of those sports that bring people together. If you love tailgating at games, then you know how the perfect blend of good comradery and good food and drink can make football season your favorite time of the year. If you are looking to upgrade your game this year and add a little pizazz, don’t worry there little additions you can make that won’t break the bank. Before we get into the nitty gritty of what you should bring and what food and drink you should offer, the most important tip is to plan, plan, plan. 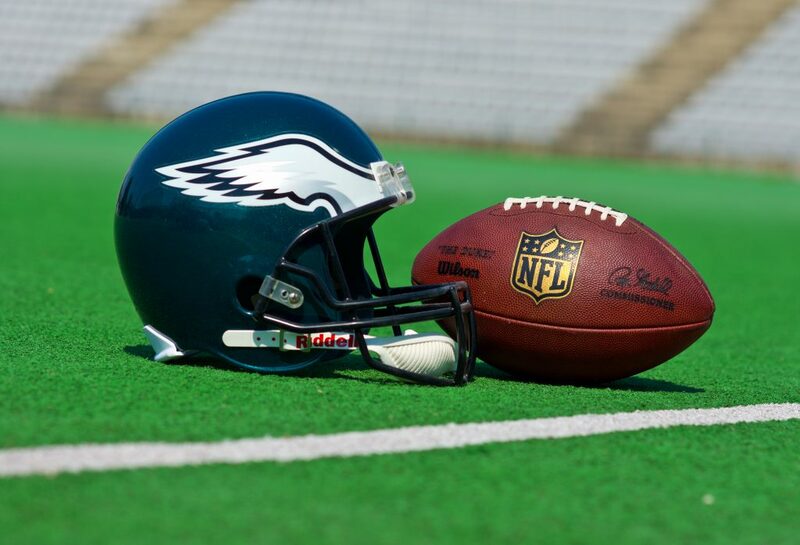 By taking a few minutes to jot down a list and schedule of all that needs to be done, you will ensure that you have all your supplies, Philadelphia Eagles paraphernalia and food. Avoid having to rough it when you forget key comforts from home like the bottle opener or plates and cups. For example, taking the time to remember to pack empty bins for dirty dishes or trash can really make you feel like you are running a more sophisticated operation. Also make sure you have enough coolers and ice to keep all the drinks chilled and ready to go. It really is all in the details. And it is not just want your bringing that you should plan out. Also scout out the area where you will be tailgating. Take note of how far away the rest rooms are and other important logistics. This way if there are any logistically issues you can problem solve before the day of the tailgate. Are you getting tired of burgers, hot dogs and chicken wings, the typical fare at tailgating parties? It really isn’t that hard to elevate your menu to impress your guests. Offering grilled oysters can really add some swag to your event and they are not hard to do and they only take about five minutes to grill. If you have electrical outlets for a crock pot, you can also spice things up with chili or warm cheesy bean dip served in tortilla chips. Kebabs, vegetable or beef, can also be fun additions as well. Menu options are endless so go ahead and create a menu you will be proud of. And don’t forget something sweet for dessert. Brownies or cookies baked earlier at home is always a treat. Or you can celebrate all things Philly with cheese steaks and soft pretzels and other Philly favorites. Check out Zac’s Burgers’ special tailgate offer here. Beer and soda are usually the popular beverage choices for tailgating, but think about offering mixed drinks and wine too to add a little sophistication to the party. Your guests who are not beer drinkers will thank you for it. Even if you have a lot of beer drinkers, try to offer some variety in your beer offerings. Don’t just get a whole bunch of light beer. Mix in some craft micro-brews that you know your friends and family enjoy. With an expanded beverage options, it is important to remember the cups. Glass at a tailgate party is too risky, but there are some nice quality plastic cups and plastic wine glasses that can do the trick. If you have the extra money to splurge, go full out and make it a catered event with a full dinner menu and a bartender to serve drinks. Your guests will appreciate the extra pampering. Tailgating is usually a down and dirty business. You are out in a parking lot eating and drinking by your car or truck. In its stripped down form it doesn’t require much. A cooler of chilled beers and some sandwiches and snacks could certainly suffice, but when you are looking to upgrade the experience then you will want to add more comforts from home. A compact grill is a must if you want to serve warm dishes to your guests. If also have access to electrical outlets then you can also bring a long a crockpot and other kitchen equipment for fancier food options. A tent and extra tables and chairs are a great idea if you are expecting a lot of guests. This setup will give your party more privacy and adds a touch of elegance to the affair. With all this extra space, you can also add flowers, candles and other decorations if you want. White linen tablecloths can make any plain old metal table look first class and just because paper products are the most practical for outdoor events doesn’t mean you can’t get beautifully decorated ones or take it one step further and buy especially monogrammed cups and napkins. You can be a football fan and a sophisticate at the same time, right? If you are a fan of Zac’s Burgers menu as well as of the Philadelphia Eagles then why not let Zac’s cook for your tailgate party. Zac’s menu offers crowd favorites as well enough variety to please the most discerning palate. Everything from main dishes to sides to desserts will be covered when you choose Zac’s for your next Philadelphia Eagles Tailgate Party. For the last 33 years, Zac’s Burgers has prided itself on delicious made-to-order meals and friendly service at a reasonable price. All the food is made fresh with the highest quality ingredients and with unique twists like wacky zacky sauce. By ordering from Zac’s Burgers, you also won’t have to worry about all the extra paraphernalia like the grill either. When planning a tailgate party, the more is always merrier. Make sure to invite all your favorite fellow fans to come along so you can share in all the highs and lows of the game together. Ask everyone come in their best Eagles gear and be prepared to cheer the team on. You know Eagles fans are the best of the bunch. Make this the most fun football season yet. If you’d like to learn more about how Zac’s Burgers can help you with planning the perfect Philadelphia Eagles’ tailgate party, visit their website or give them a call today.